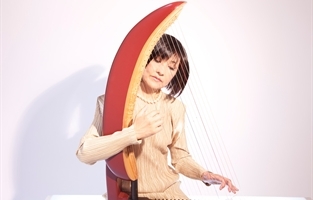 We present the kugo-harp to the world through concerts (Tomoko Sugawara) and discussions (Bo Lawergren). 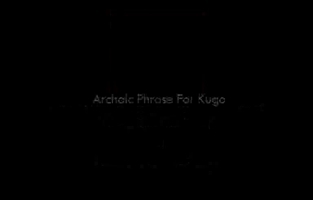 The kugo was invented 2000 BC in Mesopotamia. 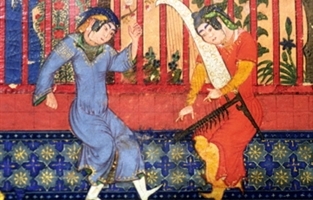 It was not the first harp invented, but it was the most persistant. 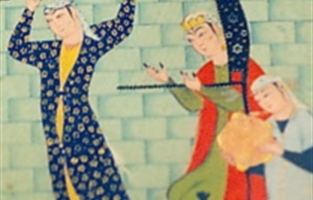 It spread across much of Asia and flourished among kings, poets, and commoners until 1700 AD when it was last seen in Constantinople. Tomoko Sugawara plays replicas of the kugo and Bo Lawergren gives slide-talks about its history. It is a beautiful instrument with a soft, incisive, sound. It needs to be revived to spread solace around the world, and we need travel funds to let it happen. Ms. Sugawara is the foremost player of the instrument and she has assembled a large repertoire for it. 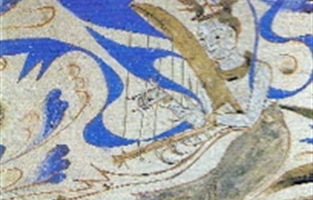 The earliest compositions are based on pieces in Japanese collections from A.D. 800-1000. The latest are written by contemporary composed, such as Kikuko Masumoto from Japan, Amir Tafreshipou from Iran, Robert Lombardo and Stephen Dydo from the US. 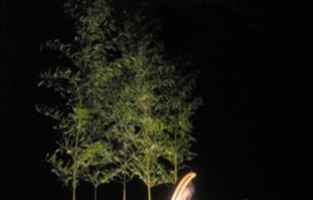 Commissioned are also the US-Cambodian composer Chinary Ung and US-French-Chinese composer Bunching Lam. 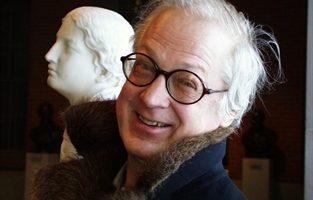 Mr. Lawergren was a Professor at Hunter College of CUNY 1970-2003 and has written 90 research articles on Music Archaeology in Eurasia. Expertise on the kugo came with the territory. 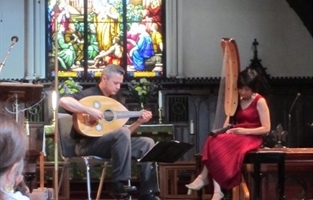 Sugawara and Lawergren have given lecture-recitals at many universities, e.g., Columbia, Harvard, Princeton, UPenn, NYU, UPittsburg, UC Berkeley, UMich, and at museums, e.g., Medelhavsmuseet, Stockholm, Sweden and Berlin, Germany, and regularly performed at meetings of the Historical Harp Society, the New York Qin Society, The World Harp Congress. They have received touring grants from The Japan Foundation and the Asahi Beer Foundation which cover the period July 1, 2011 - June 30, 2012. The former is a matching grant, and we are eagerly seeking contributions from you. 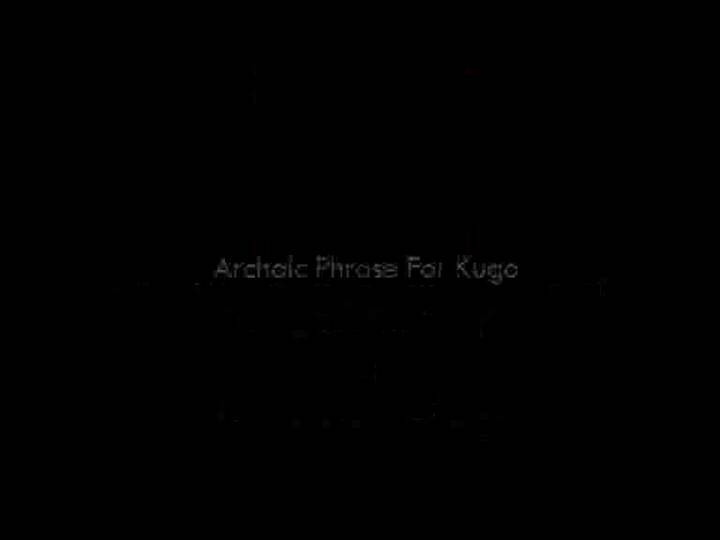 and let the kugo fill the world with antique sounds anew.